I hope that everyone had a great weekend, it was a nice weekend here. The weather wasn't all that great but it wasn't snowing so I consider that good. It was also nice out on Halloween so my son didn't have to wear a winter coat over his costume so I consider that a success as well. I have a new to me brand on the blog today. 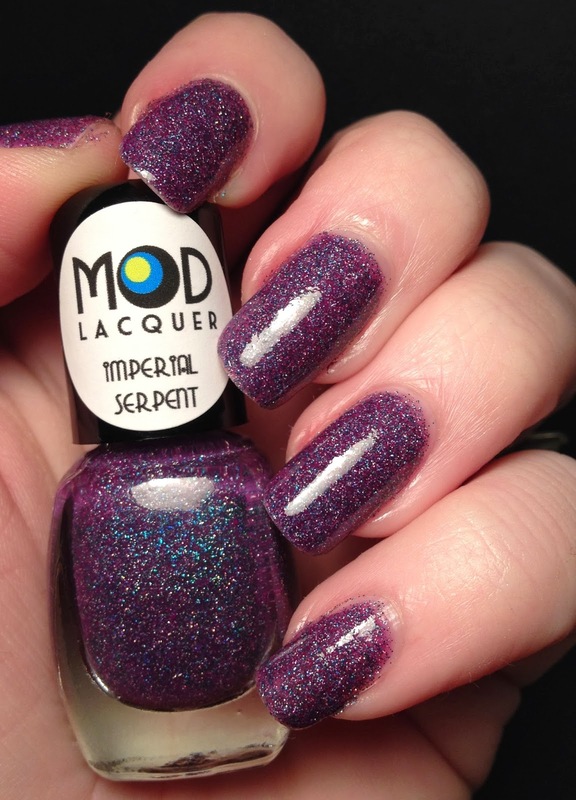 I had been seeing a lot of lovely swatches on Instagram of Mod Lacquer polishes and they intrigued me enough to go make a purchase. I bought three, two for me and one for a Christmas present. That's right, I am already knocking presents off my list. So this is the first one of the two I got for myself…. this is Imperial Serpent. 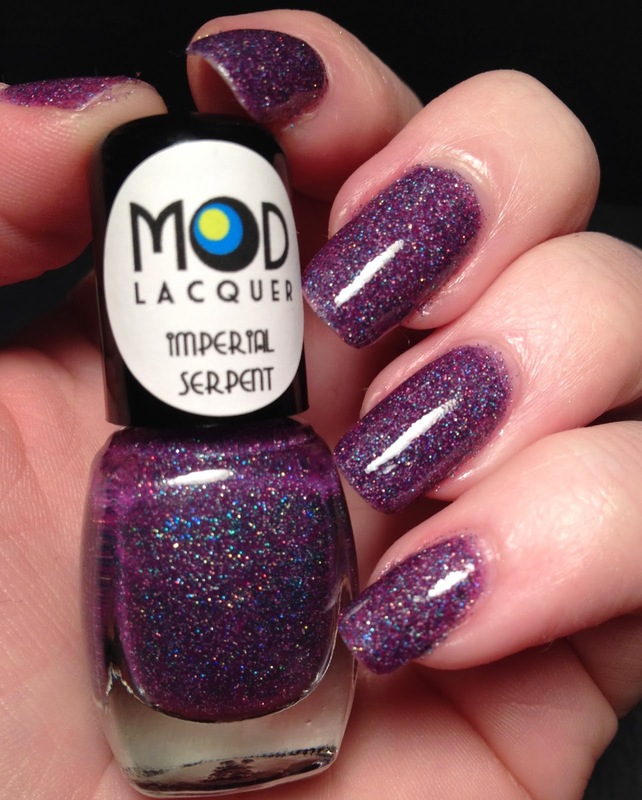 I was drawn to this polish because it was purple and it had holo glitter in it. I just can't pass that up. 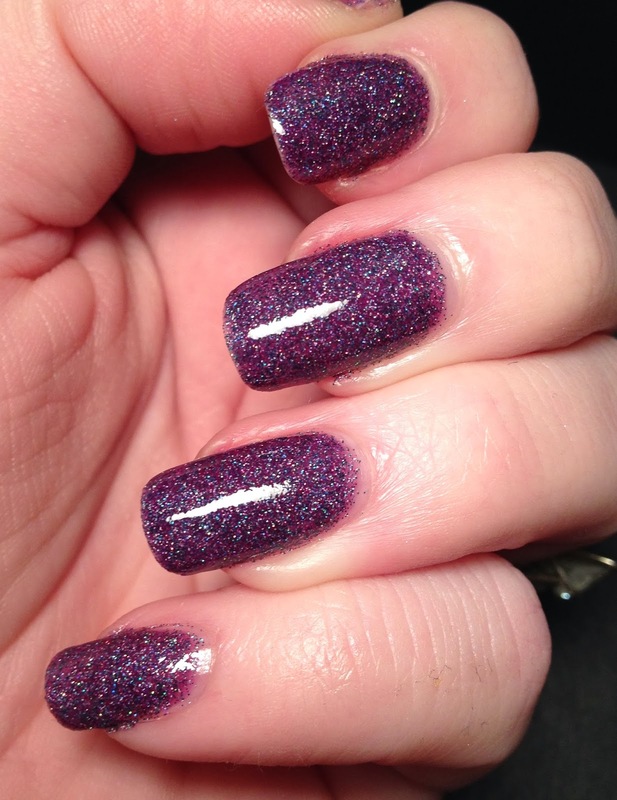 This polish is on the sheer side so I should have used undies for it, but this is three coats I believe. Rejuvacote as my base and there is no topcoat for this swatch. It is so beautiful, and look at that bottle too. The rainbows!!!!! All in all it was great, I just do recommend undies for this.